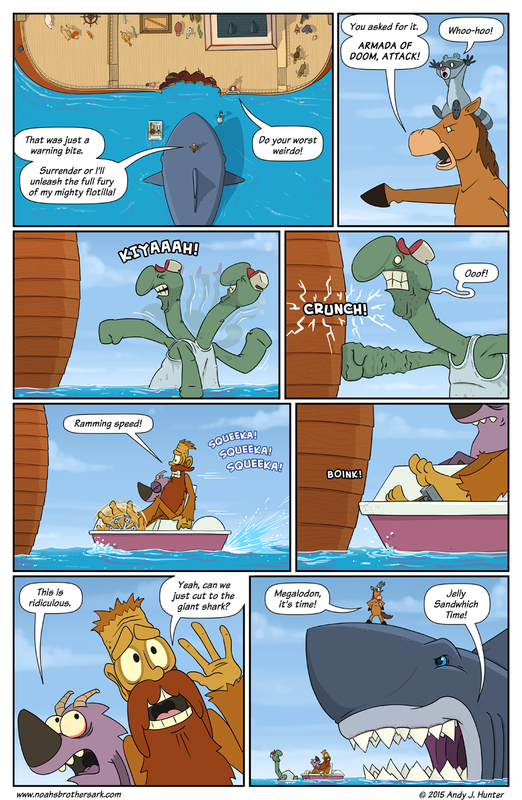 A webcomic about arks, annoying brothers, and how Sasquatch survived the flood. Hey new readers click below to start at the beginning of the story! Check back every Sunday for a new page of adventure and fun! Andy Hunter is an Illustrator and Animator living on the outskirts of Portland, Maine. He grew up in Natick, Massachusetts and graduated from the Rhode Island School of Design. No! Don’t eat the Ark! Noah’s family is in there! Somewhere…. maybe….. I knew he was forgetting something while he was packing.